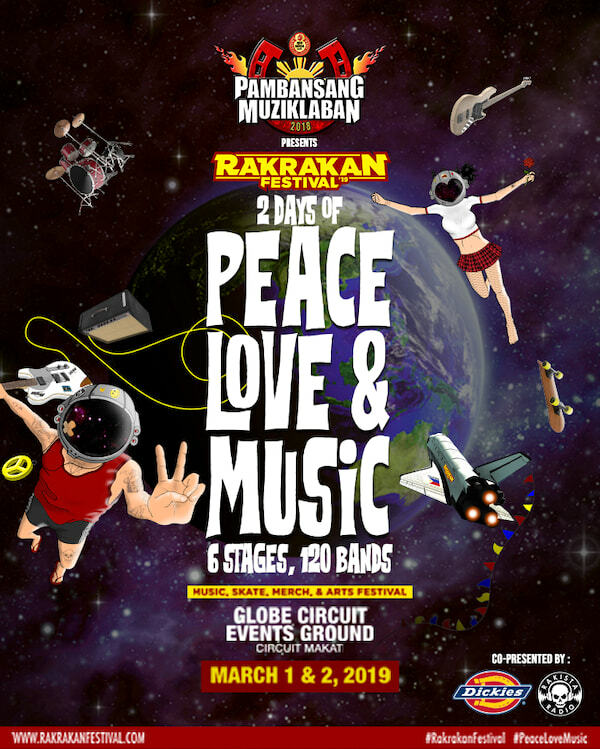 Rakrakan Festival Returns With 120 OPM Bands and Artists This March! On DAY 2, performing on our Mosh Stage are Slapshock, Franco, Ultra Combo, Urbandub, Basti Artadi, COLN, Chicosci, Wilabaliw, Rocksteddy, Giniling Festival, Even, Saydie, Philia, Valley Of Chrome, Faspitch, 123 Pikit, Reborn, Dicta License, and Red Horse Muziklaban Champion! On our Slam Stage, watch performances from Wuds, Philippine Violators, Catfight, Sunflower Project, Subculture, Bad Burn, Manila Under Fire, Shotgun Combo, Atthismo, Happy Three Friends, Morphine Kings, Mr. Bones & The Boneyard Circus, Arcadia, Embercore, Vie, Jurassic Pards, Switch, Skychurch, THE Republicats, and Runbynine. 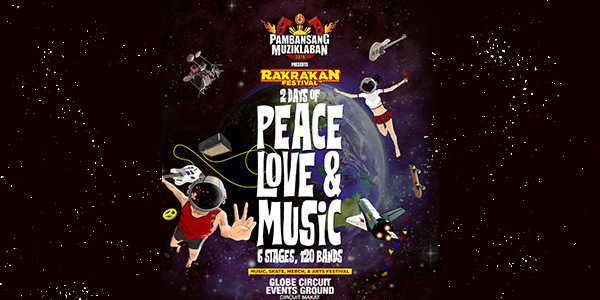 And on our 6th and final stage – Peace Stage, catch performances by December Avenue, I Belong To The Zoo, Autotelic, MuniMuni, Chocolate Factory, Brownman Revival, The Chongkeys, Banda Ni Kleggy, Pedicab, Hilera, Lion & The Scouts, Reggae Mstress, Collie Herb, Engkanto, Kadangyan, Written By The Stars, Sagip Adik Foundation, SlowDough, Jejaview, and Salvation Army! 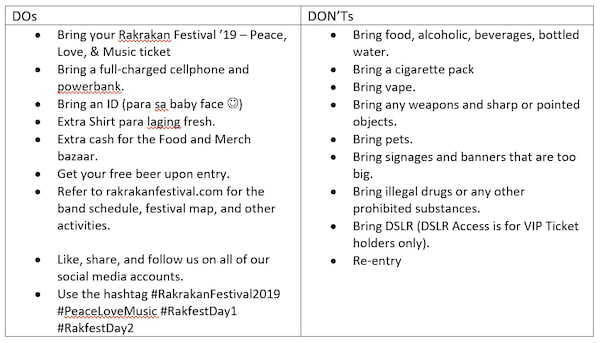 And to enjoy a safe and hassle-free music festival, here are some reminders and DOs and DON’Ts for you.